"Architects create environments with physical materials. I do it with sound." HEARTS of SPACE PRODUCER STEPHEN HILL's CAREER seemed to take a sharp detour in the early 70's when he abandoned his architectural career and opened a recording studio. Hill received a graduate degree in architecture at the University of Pennsylvania in 1969 where he studied and worked with Louis Kahn, Robert Venturi, Romaldo Giurgola, Richard Saul Wurman and other leading architects of the day. After moving to San Francisco in 1970, Hill gained additional experience in photography, film, multi-media design, sound engineering, and radio production. Music and sound technology ultimately held his attention. He developed his audio engineering skills under the tutelage of Bob Olhsson, a professional recording engineer formerly with Motown records. Hill describes this period as "five years of constant reading, research, and hands-on experimentation." 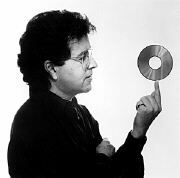 As a staff engineer at KQED-FM radio (San Francisco 1971-75) and as an independent producer (1973 - present), Hill produced thousands of live and recorded radio broadcasts, ranging from provocative interviews with leading thinkers to powerful contemporary music experiences. Hill also served as engineer/producer of over seventy record albums and soundtracks, including Genocide, a 1983 Academy Award-winning feature length film documentary. Other production projects of the '70s and early '80s include recordings for the Celestial Harmonies, Fortuna, and Pacific Arts labels with artists like James Newton, Chaitanya Deuter, Carlos Nakai, Double Image, and the original Tibetan Bells group. In 1984 the Hearts of Space label was launched with Hill serving as Director of A&R and Art Director. It grew to a catalog of over 140 titles and four sub-labels before being sold in 2001. While working at KQED in the early '70s, Hill became fascinated by similarities he found between certain traditional musics and the synthesized sounds emerging from the first wave of experimental electronic composers. Here was a new kind of imagery in music that offered compelling psychological experiences by creating a sonic atmosphere for concentration and mental expansion. Hill adopted the term "spacemusic" to describe the new genre. To explore these sounds and spaces, in 1973 Hill created Hearts of Space as a three-hour live weekly radio program on KPFA-FM in Berkeley, California. Joined a year later by former co-producer Anna Turner, the show became a habit for thousands of northern California listeners eager for something truly new in music programming. National syndication of a one hour version of the program began in 1983 and continues today on over 240 NPR affiliate stations and XM satellite radio, as well as online with a subscription service that makes the entire Archive of music programs since 1983 available to Internet listeners on demand. From its inception as a late night free-form mix, Hearts of Space has evolved into a tightly structured, artfully edited one hour music experience best described as contemplative music broadly defined. With minimal commentary, it combines the best of contemporary electronics, classical adagios, quiet chorales, spacejazz, contemplative soundscapes, and music from exotic cultures around the world. In retrospect, Hill realizes he never really left architecture. He simply became a sound architect who learned to build his castles on the air.